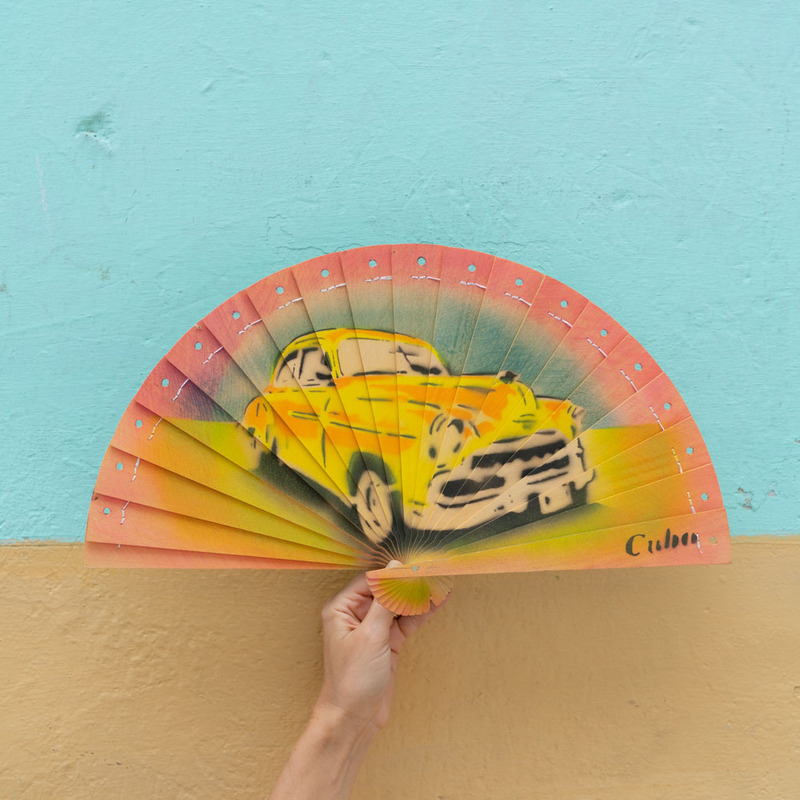 If it looks like we spent hours tracking down the perfect walls and cars for this post I gotta tell you - Havana is really just this colorful! These pics were all taken within an hour, in the span of a few blocks, a short walk from the casa particular where we were staying! I also stumbled upon a vendor selling souvenirs, and immediately fell in love with this fan, so I added it to my outfit. (And now it sits on our travel wall, among the much-loved things we've collected from our trips.) Havana is a feast for the eyes and this stripe top with a slight retro vibe was a perfect fit - for both the weather and our surroundings! Approx. dates: Shorts are 2 years ago. Shoes are 1 year ago. Purse is recent. Top is new.